Today I'm sharing the last of my outfits from our East Coast vacation, which means summer is now really officially over ;) I wore this outfit to dinner at Dock's which is an annual tradition on this trip. The restaurant has been around since 1897 and is an Atlantic City staple. 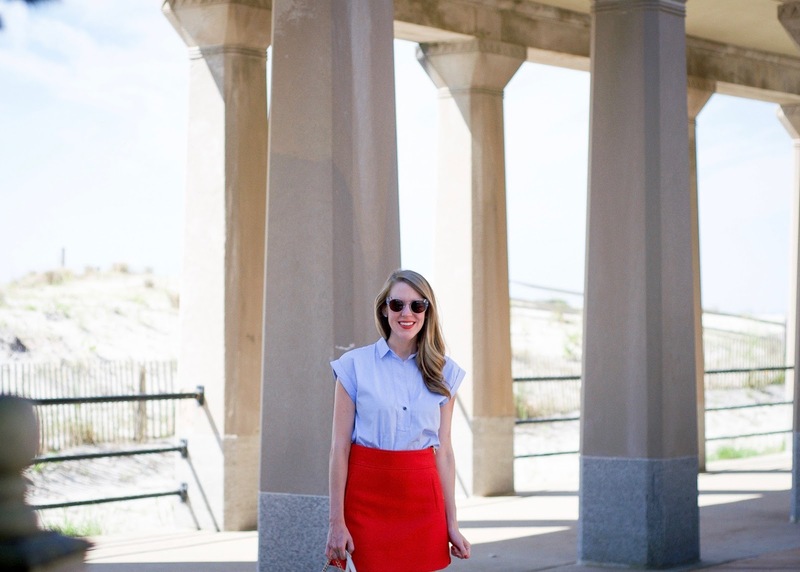 This red mini skirt has become one of my favorite pieces to style in my closet. I wore it last fall with a white blouse for a mod-inspired look, and again in the winter with a blush pink sweater. 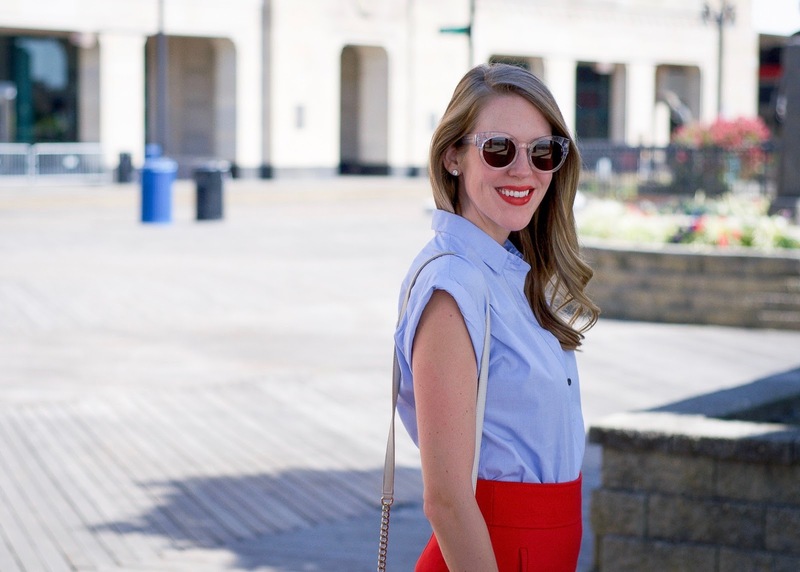 This time, I paired it with a crisp light blue popover for an Americana summer vibe. I'm also totally crushing on the red and purple trend right now (hello, these were made for me), so I'm sure you'll be seeing this skirt again in the very near future!